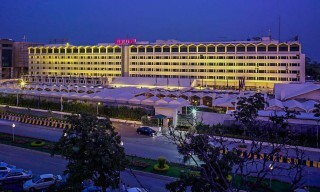 Located in the city's bustling business district, in the heart of Islamabad, the distinctive Hotel Crown Plaza. welcomes both business and leisure travelers. Each of Hotel Crown Plaza's 61 quest rooms combines exceptional views and tasteful decor with the latest technological enhancements. Richly-appointed with handcrafted Oak furniture, marble bathrooms, and classical fixtures, each guest room is also equipped with state-of-art conveniences that make conducting business in your room truly a pleasure. Staying at Hotel Crown Plaza is surely a rare experience. You feel truly at home, right from the moment you enter the hotel until it is time to say you fond farewells and surely after leaving us you will have memories to last a lifetime. 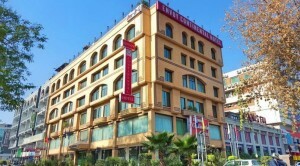 It is centrally air-conditioned hotel with rooms comparable to any five star hotel in Pakistan. Each room has been tastefully as well as gracefully decorated and is equipped with all the due accessories to ensure smooth and seamless business operations in an absolutely comfortable atmosphere. 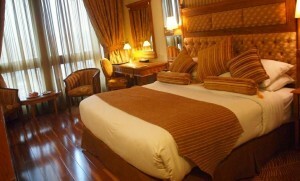 It is for the first time in Pakistan that each room in Hotel Crown Plaza is provided with state of the art amenities. » Funtion facilities for over 2,000 people. » White Shamiana/Marquee with Crystal Chandeliers. » Exclusive one piece Carpeting and Red Runners. » Heating (Heaters & Charcoal Grills). » Complete Lighting Arrangement including Fairy Lights. » 3-D Studio for Decorative, Ice Carving, Flag Displays, etc. » Creating Ambience as per occasion. » Safe Locker in Rooms. » Roof Top Bar-B-Que & Thai Cusine Restaurant coming up soon.